The company wants to tap the market with huge power demand for economic growth. The multinational conglomerate General Electric is teaming up with a partner to construct large-scale wind power plants in Vietnam with a total investment of $1.5 billion. The company recently signed a partnership deal with the Ireland-based Mainstream Renewable Power Ltd. to develop 1,000 megawatts of wind power capacity for the national grid, according to the Wall Street Journal. GE will be responsible for partially providing technology for the projects, considered part of its efforts to push further into fast-growing markets. Construction is expected to begin in 2018. “Vietnam is going to be a huge importer of energy as the economy grows. There is huge demand for power and they can balance the equation with renewable energy,” Mainstream Renewable CEO Andy Kinsella was quoted as saying. Vietnam's fast-growing economy is in need of more electricity. Founded in 2008, the Dublin-based Mainstream Renewable Power Ltd. is a major independent power supplier to developing economies like South Africa and Chile. This will be among the largest clean energy power projects in Vietnam funded by foreign investors. 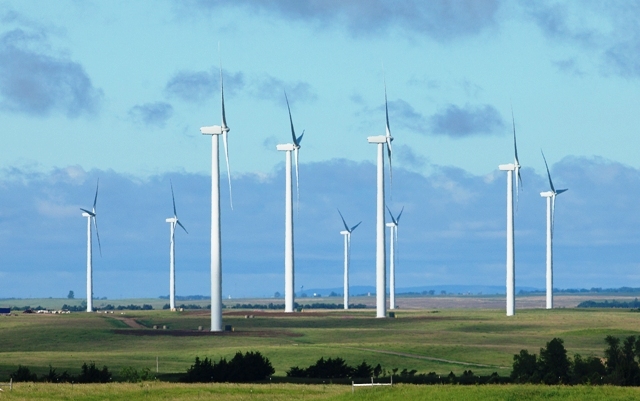 Various media reports suggest that investors in general are reluctant to develop wind power projects because prices in Vietnam are not high enough to cover the investment. In Vietnam, state-owned Electricity of Vietnam, which controls the national grid, reportedly pays 7.8 cents or VND1,731 per kilowatt-hour for wind power, much lower than the rates in China, Japan and the Philippines. The Vietnamese government has set a target of increasing its power output from about 200 billion kWh in 2015 up to over 330 billion kWh by 2020. Last month, German firm Terra Wood proposed a solar energy project worth $400 million in the central province of Quang Ngai. Two months ago, Singapore's The Blue Circle was licensed to build a $60 million wind power project in Ninh Thuan, also in the central region.